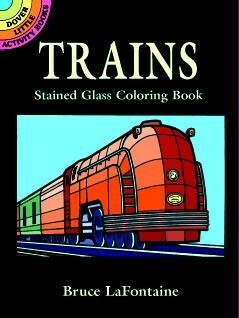 Train buffs of all ages will love the classic charm of these antique locomotives, rendered as stained glass designs. 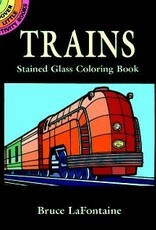 Boldly outlined, ready-to-color images depict eight different railroad engines from the past. Simply color these streamlined miniatures with crayons, colored pencils, or felt-tip pens and hang them in a window or near another light source for brilliant effects.